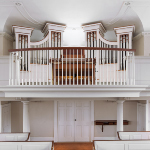 Andover Organ Company :: New Pipe Organs by Andover Organ Company, Inc.
A fine pipe organ is the ultimate combination of musical, mechanical and visual arts. 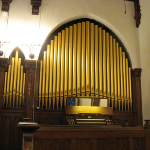 Each new Andover organ is a unique work, custom designed to meet the customer’s musical requirements and budget. Attention to detail is what sets us apart. We take great care to design the exterior of each instrument to complement the architecture of its surroundings and to look as if it has always been there. 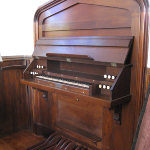 The console may be attached to the case or free standing, depending upon the organ’s layout and the available floor space. Likewise, all of the pipework is custom scaled, voiced and regulated to perfectly suit the acoustical environment of the room. Below are links to articles about recently completed new instruments. You may also view the longer Opus List Of New Organs By State.